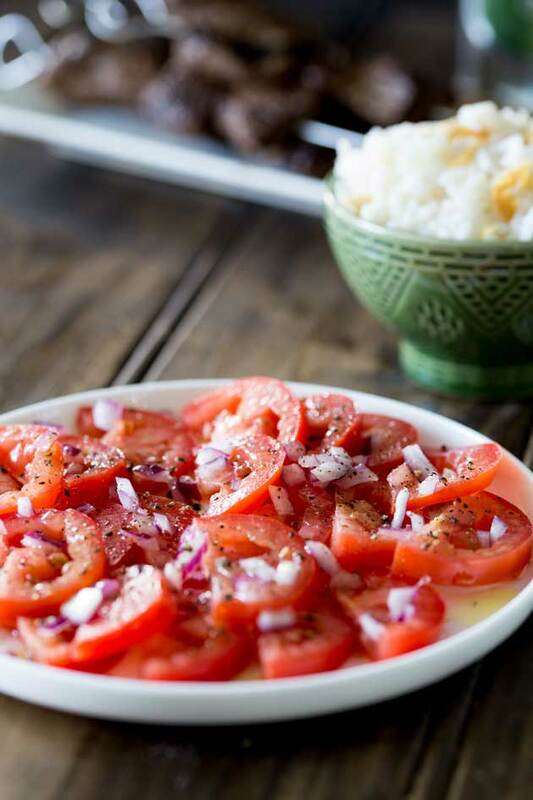 A super simple tomato salad with a punch of flavour. Perfect as a side dish with some Brazilian Barbecue. Or in fact any barbecue! I know, this is just a plate of tomatoes!!! But I promise the dressing although simple is really delicious. 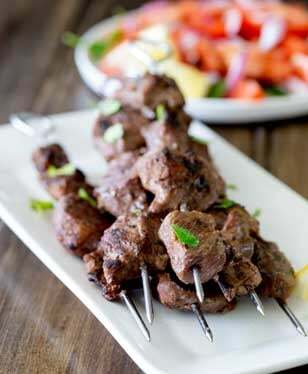 And it is the perfect cooling refreshing salad to accompany my Brazilian Beef Kebabs and Brazilian White Rice. 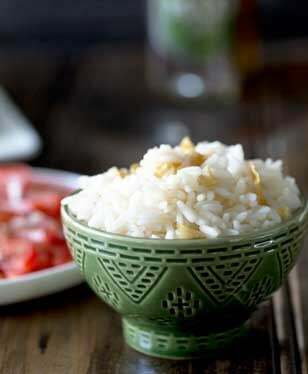 The kebabs are generously coated in wonderful aromatics and the rice is packed full of wonderful sweet garlic. 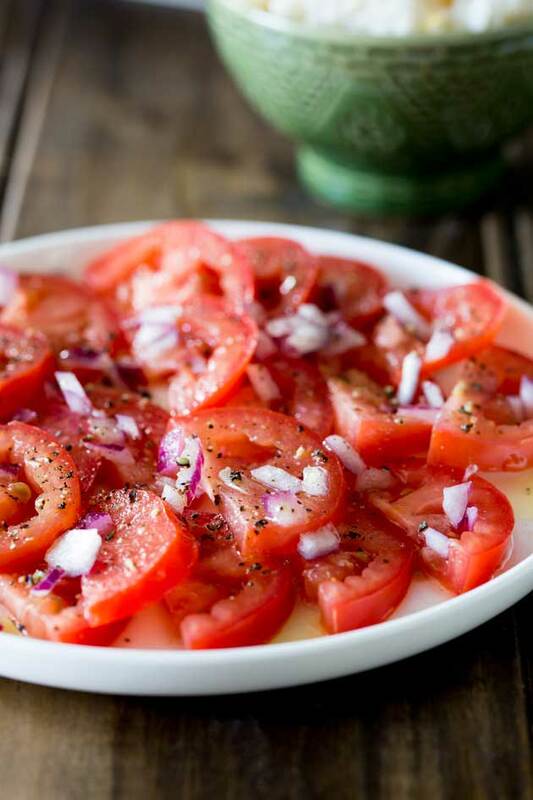 So this tomato salad is just perfect alongside. Plus it is so beautiful! Look at the wonderful colour. Rich rich red and a splash of purple onion and grassy green oil. YUM!!!! If you keep your tomatoes in the fridge remove them a good hour before you make this. They want to be at room temp. Cut the end of the tomatoes and then cut them in half length ways. Slice them into thick moon shapes and arrange on a serving plate. 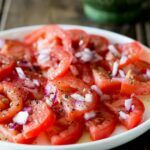 Finely chop the red onion and scatter over the tomatoes. In a small jug, mix together the olive oil, red wine vinegar, ground fennel and a generous amount of salt and cracked black pepper. Pour the dressing over the tomatoes and let it sit for 5 minutes so the flavours meld together. Hi Claire! Simplicity at it’s best! Nothing better than lovely ripe tomatoes, I have four sitting on my counter at the moment! Tomato sandwiches are a thing here in the South…so good!